Start saving now for your lunar vacation in 2020. Aerospace entrepreneur Robert Bigelow thinks space stations could be orbiting the Moon by 2020. However, he stresses, these giant refueling depots will only be possible by that time if the Trump administration prioritizes the national urgency and funding that such an initiative will need. Bigelow, who heads Bigelow Aerospace, understands the industry. His company has already launched three private inflatable space-habitat prototypes into orbit. The most recent is the Bigelow Expandable Activity Module (BEAM) project, which was delivered to the International Space Station (ISS) in 2016 via a SpaceX Dragon cargo ship. BEAM is the first inflatable room ever privately built and installed on the space station. It was created as part of a NASA future space habitats test, and thus far, Bigelow reports that it is performing well. 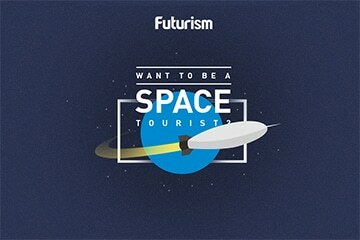 Space tourism is a hot topic for Bigelow and other space entrepreneurs. On February 26, Elon Musk announced that SpaceX will launch a private flight to the Moon in 2018. The charter aboard the Dragon capsule already has two passengers who have made “significant deposits.” Those private citizens will have the opportunity to orbit the Moon after launching via SpaceX’s Falcon Heavy rocket. Also with his eyes on the Moon is Jeff Bezos, who told The Washington Post on March 2 that his private space company, Blue Origin, is making its own plans for a Moon venture. Habitats for the Moon and beyond and private space stations are goals for Bigelow and his company. He hopes to launch a colossal inflatable space habitat and free-flying private space station into orbit in 2020 and claims that Bigelow Aerospace aims to provide habitats at “a fraction” of NASA’s cost. As his company and others make space flight cheaper and more accessible, humanity will be able to extend its reach beyond our home planet, perhaps one day visiting and even colonizing new ones.